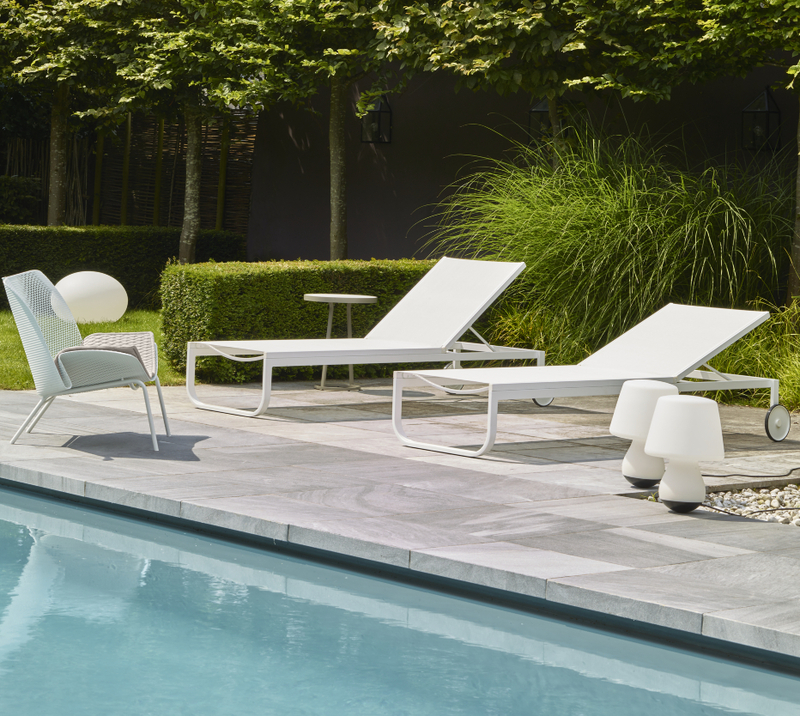 The Lettino sun lounger associates the elegant minimalism of its white lacquered steel and white lacquered aluminum (both cataphoresis-treated) structure and the comfort of a fine outdoor-quality fabric (choice of blanc or grège). This flexible fabric (75 % polyvinyl / 25 % polyester - 560 g/m²) is both durable (being heat-welded) and easy to maintain (since it can be washed in soapy water). 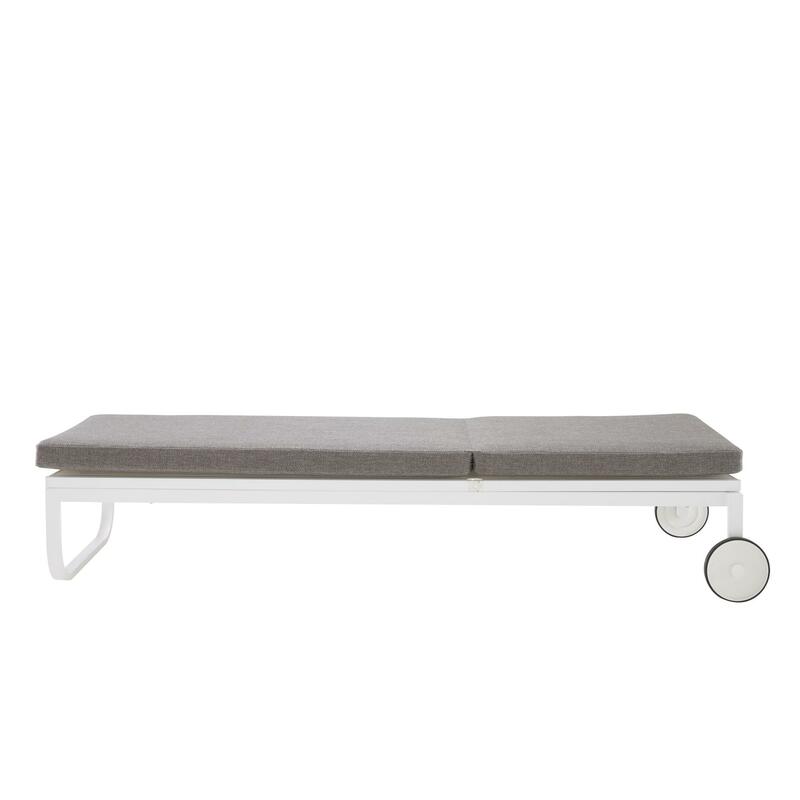 The multi-position adjustable back enables the user to personalise the comfort on offer, from ''siesta'' to ''reading'' position, using the 5-position rack & pinion system. The two large, attractive wheels (Ø 7'' - 18 cm - in nylon/polyurethane + ABS) at the head end make Lettino easy to move whilst bringing a touch of roundness and softness to its minimal design. 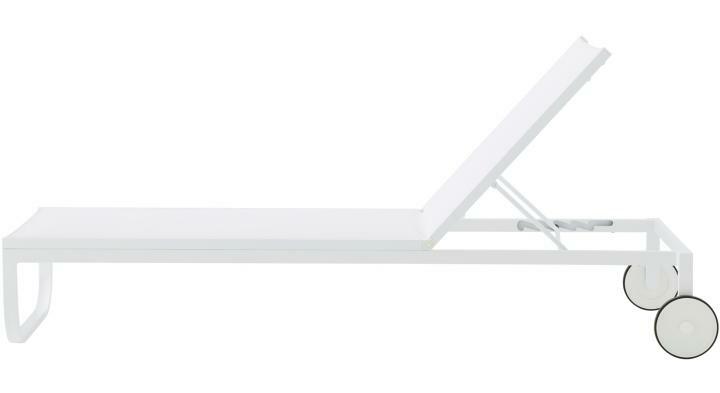 Functional to the very end, the Lettino sun lounger is also stackable. 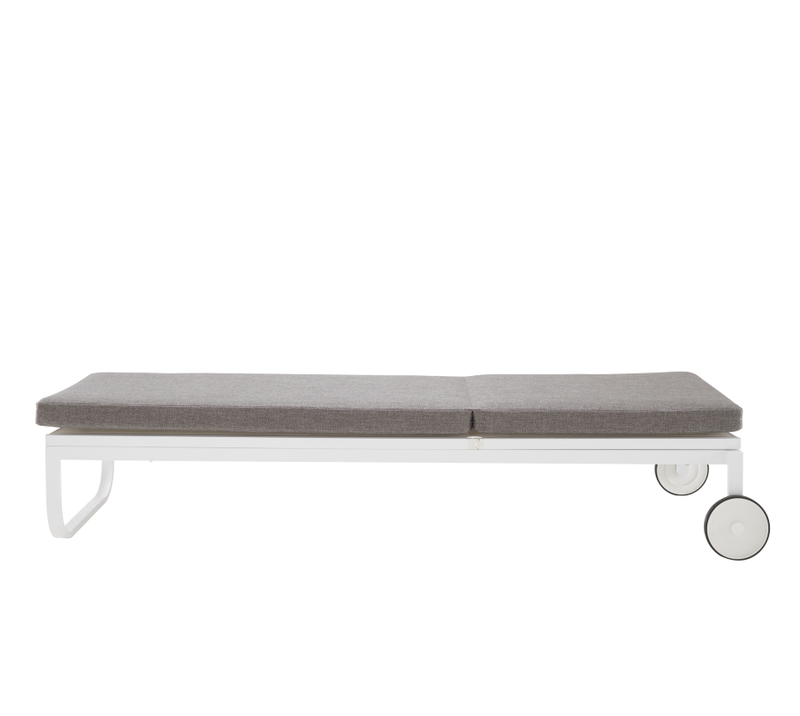 The maximum dimensions quoted include the wheels and with the back raised. The frame alone is 27 1/2'' - 70 cm wide and 77 1/8'' - 196 cm long. The height with the back lowered is 13'' - 33 cm. H 41" x W 29" x L 80" x SH 13"
H 3" x W 24" x L 79"